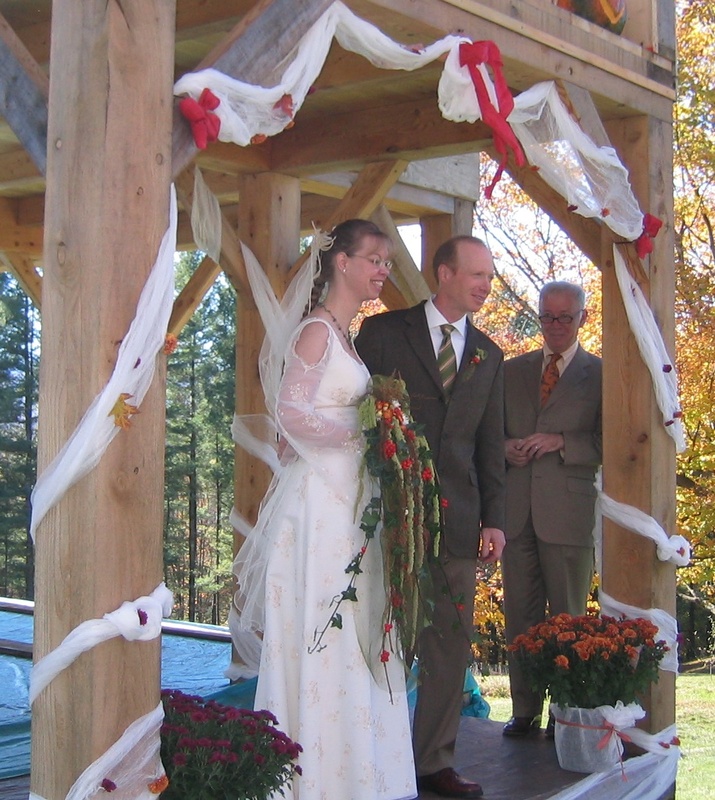 Our wedding day in October 2006, standing within the timbers of what is now the café entrance. The idea of creating a European-style café in Johnson came about after many visits to Austria and to Renate’s home country of Germany. While touring the countryside we would often stop at one of the many Scheunencafés; cafés situated in old barns which had been restored with detail and elegance not often seen at home in Vermont. We were struck by the inviting ambience and friendly welcome set within the beautiful surroundings. The menu offerings, of course, were what completed the unique experience. What added further to the enjoyment of an authentic Scheunencafé is that often the creations of local artisans would be on exhibit and offered for sale. With Glenn finishing a decade-long project of building a timber-framed barn, and with Renate’s move to Vermont, the time seemed right to convert the barn’s main floor from a workshop into a place for people to come to relax and enjoy teas, coffees, and a wide variety of German, Austrian and locally-inspired confections and light savory fare. We hope you enjoy the experience here at Fledermaus Teahouse in Vermont as much as we have in the Scheunencafés of Europe.